Summary: As you know we review backpacks A LOT. In the end, we found that Kyte packs are the best choice of women who are looking for a backpack that they can travel AND camp/hike with. Kyte 46 turned out to be slightly superior to Kyte 36 (see in-depth comparison table below). Differences: Unlike Kyte 36, Kyte 46 has (1) an internal compression strap, (2) a vertically zippered side pocket and (3) extra 10L of volume (duh). Osprey Kyte 46 is recommended if you're going to be participating a decent amount of multiday outdoor activities AND you wouldn't mind checking your pack while travelling. 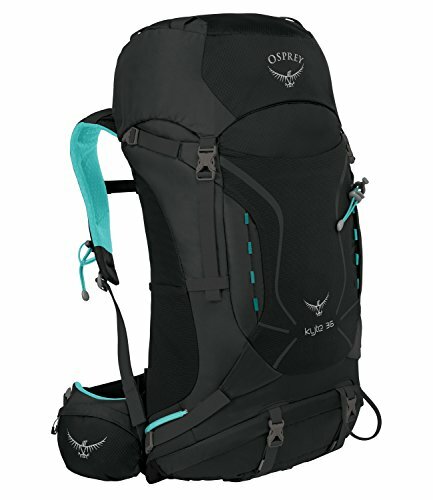 Osprey Kyte 36 is recommended if you're an essentialist, looking for a very simple and more carry-on friendly pack which you're going to be using mostly while travelling. #Note: As you see, dimensions and volume don't add up. See our post Dimensional Inconsistencies of Osprey Backpacks to learn more. See our men's Osprey Kestrel 48 vs Kestrel 38 comparison. 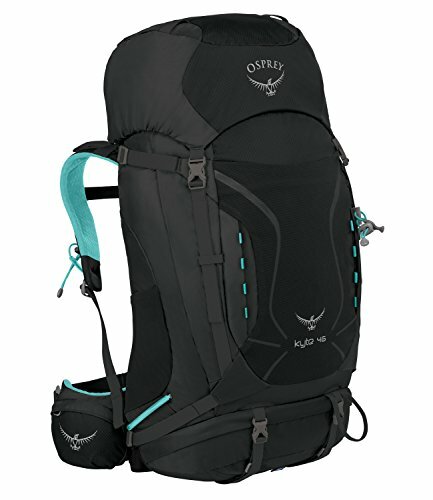 This post applies to the most recent (post 2016) models of Osprey Kyte 36 and 46 backpacks only.​​​ Since they are complete redesigns, DON'T use this information to decide between previous (before 2016) models. The primary difference between these products is obviously 10 liters of extra volume provided by Kyte 46. In other words, Kyte 46 provides 30% more volume than Kyte 36, which isn't minor. Considering even 46 liters isn't huge, filling the additional 10 liters is usually easier than you think, and it's better to be on the safer side with extra volume. If you're worried about ending up not filling the pack completely and hence having it wobble on your back annoyingly - don't. Why? Because it's not a problem. Internal compression strap increases stability (available in Kyte 46 only). Cinch your items down using the internal compression strap at the top entrance and increase your pack's stability. Besides vertical compression, your load can be stabilized through reversible compression straps. It doesn't mean larger pack is better for everyone. Going to be participating few multiday outdoor activities. Yellow arrows indicate the end points of side vertical zippered pocket. Kyte 46 provides a vertical zippered pocket, which's the only difference in terms of organization. It's intended to have a bigger portion of your equipment more readily available. Both packs are available in same Grey Orchid, Ocean Blue and Purple Calla color options. Osprey Kyte 36 and Kyte 46 backpacks are both superior to their competitors in their own category. The difference between them is that Osprey Kyte 46 is more on the versatile side of the fence while Kyte 36 stays on the traveling with a more carry-on friendly pack side.